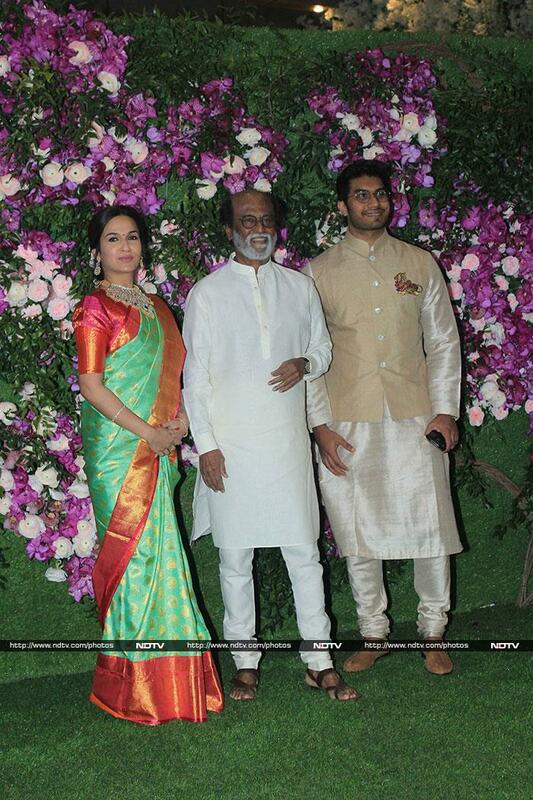 Rajinikanth arrived with his daughter Soundarya and son-in-law Vishagan Vanangamudi at Akash Ambani and Shloka Mehta's wedding held on Saturday in Jio World Centre. Scroll down for more pictures from the red carpet. 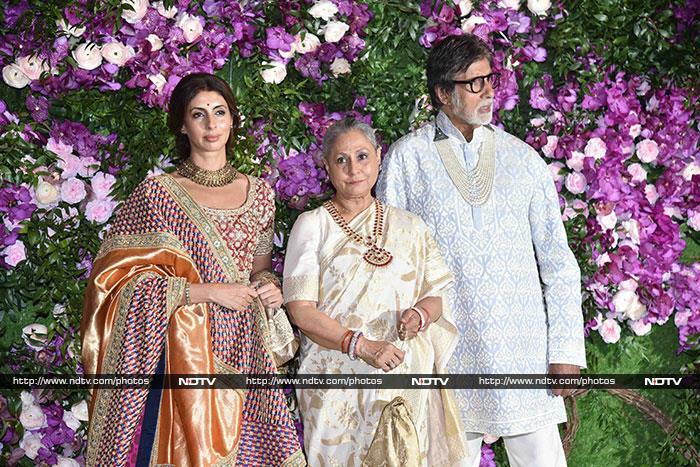 Amitabh Bachchan posed for the shutterbugs with his wife Jaya Bachchan, who looked graceful in an ivory saree Their daughter Shweta Bachchan Nanda picked a lehenga by Abu Jani Sandeep Khosla. 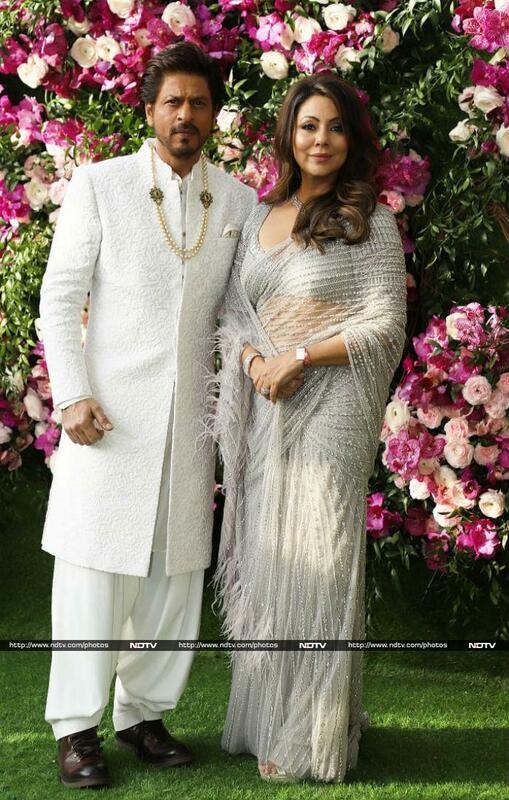 Shah Rukh Khan's Manish Malhotra sherwani complemented his wife Gauri's Falguni Shane Peacock saree. Aishwarya Rai looked resplendent in a purple embellished lehenga by Manish Malhotra and Abhishek Bachchan wore a pink kurta from Abu Jani Sandeep khosla's collection. Their daughter Aaradhya also accompanied the couple in a pink lehenga. Aamir Khan and his wife Kiran Rao were the first ones to arrive. Aamir wore an ivory kurta pyjama set and Kiran rocked an Indian outfit by Raw Mango. Priyanka Chopra looked wonderful in a silver sari by Tarun Tahiliani. She was joined by mother Madhu Chopra and brother Siddharth. Kareena Kapoor wore a Manish Malhotra ensemble while Karisma Kapoor picked an outfit from Good Earth couture. Alia Bhatt looked bright in a lehenga from Sabyasachi's latest collection. Janhvi Kapoor looked gorgeous in a pink lehenga off the shelves of Manish Malhotra. Kiara Advani looked stunning in Manish Malhotra. Tiger Shroff arrived with rumoured girlfriend Disha Patani. Ranbir Kapoor looked dashing in a bandhgala set. He was accompanied by Karan Johar and Ayan Mukerji. Juhi Chawla opted to wear a green embellished suit by Anita Dongre and looked beautiful as she posed with husband Jay Mehta. Jackie Shroff opted to wear a dhoti kurta set. Manish Malhotra wore a sherwani to the wedding. Sachin Tendulkar and wife Anjali also arrived to wish the couple. Zaheer Khan and Sagarika Ghatge smiled for the cameras before entering the venue. Cricketers Hardik and Krunal Pandya also posed at the wedding venue. Celebrity photographer Dabboo Ratnani's plus one was wife Manisha. The Ambanis also greeted the paparazzi with the groom Akash. Composer duo Vishal-Shekhar checked in to the wedding venue in the afternoon.